I have never been happier in my life, to NOT speak Spanish, because if I did…I’d know that this advertisement isn’t as dirty as my imagination wants it to be. Does the Carpet Match the Felony? Something about excessive flow in the vulvula. valvula. whatever. clearly dirty. Exactly! SO glad I took French! Somewhere in this 50+ year old brain lives a pre-pubescent girl – I admit, I snickered. Behind my hand, even. 🙂 Don’t get me started on balls. I am now officially concerned about the sort of things I end up Googling every single time I read this blog . . . 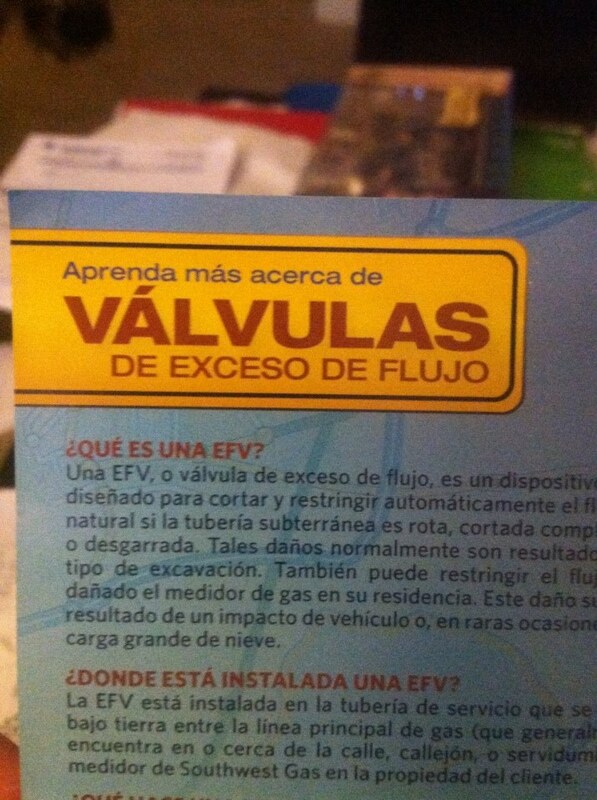 It was an insert with my gas bill…which either ruins it or makes it that much MORE awesome, depending on your opinion.